It is easy to get from Kyoto downtown to Nara Park by train. Nara is a popular city with shrines and deer. 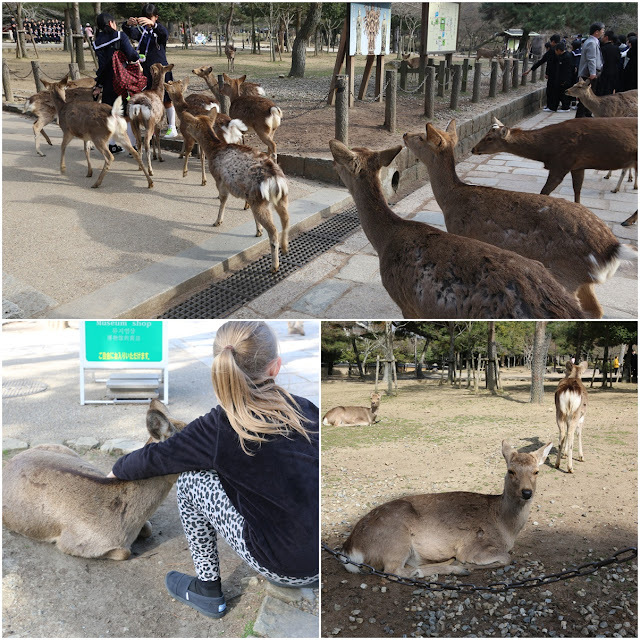 There are many freely roaming deer around Nara Park but you need to be careful with them. Nara's deer are surprisingly tame but some can be aggressive towards visitors for food. Nara's deer love eating deer crackers. These deer will follow visitors when they see their favourite deer crackers. You can buy deer crackers at stalls around Nara Park. Some deer have learned to bow at the visitors when they ask for the crackers. According to the locals at Nara city, deer is the messengers of the gods and they also become the city symbol for tourism. Due to our time constraint, we decide to join a half day local tour to Todai-ji and Kasuga-Taisha temples at Nara Park. Todai-ji Temple is our first stop at Nara Park. It is a must-see attraction at Nara. Todai-ji is the Daibutsu-den (Hall of the Great Buddha) where you can see a 16-meter high Buddha statue (Daibutsu) at Todai-ji Temple. After that, we head to Kasuga-Taisha Temple. 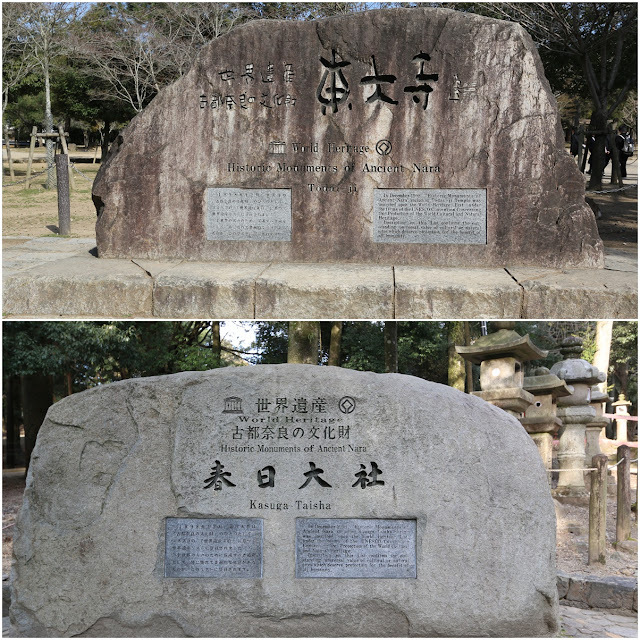 It is a short walking distance from Todai-ji Temple. Kasuga-Taisha Shrine is the most important Shinto shrine in Nara. 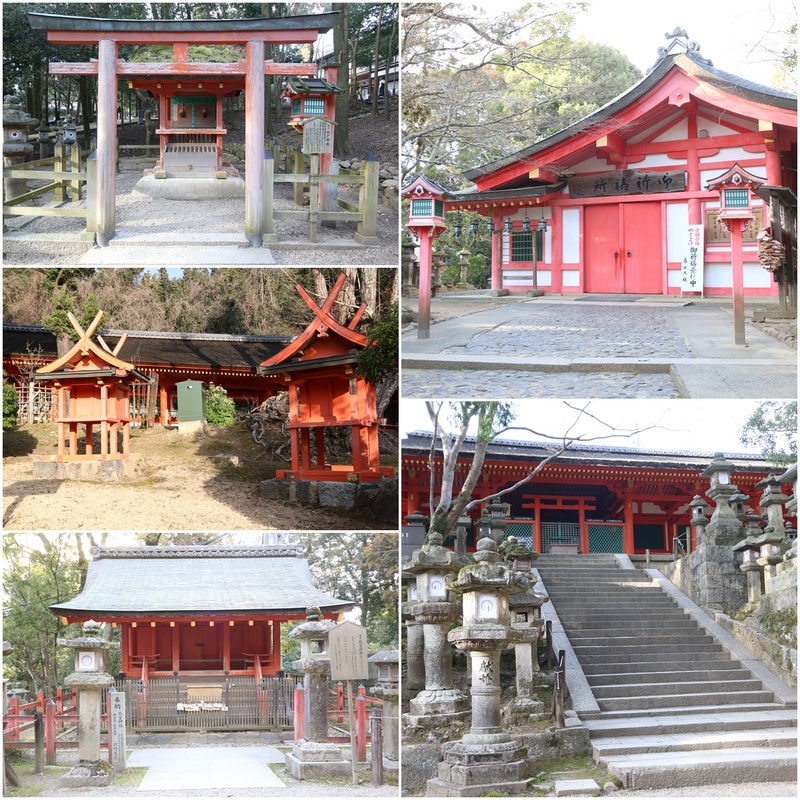 Kasuga-Taisha Temple is totally different from Todai-ji Temple. Kasuga-Taisha Temple is located in the forest. You will enjoy and cherish the nature while walking along the pathway, which is surrounded by stone lanterns and shrines. 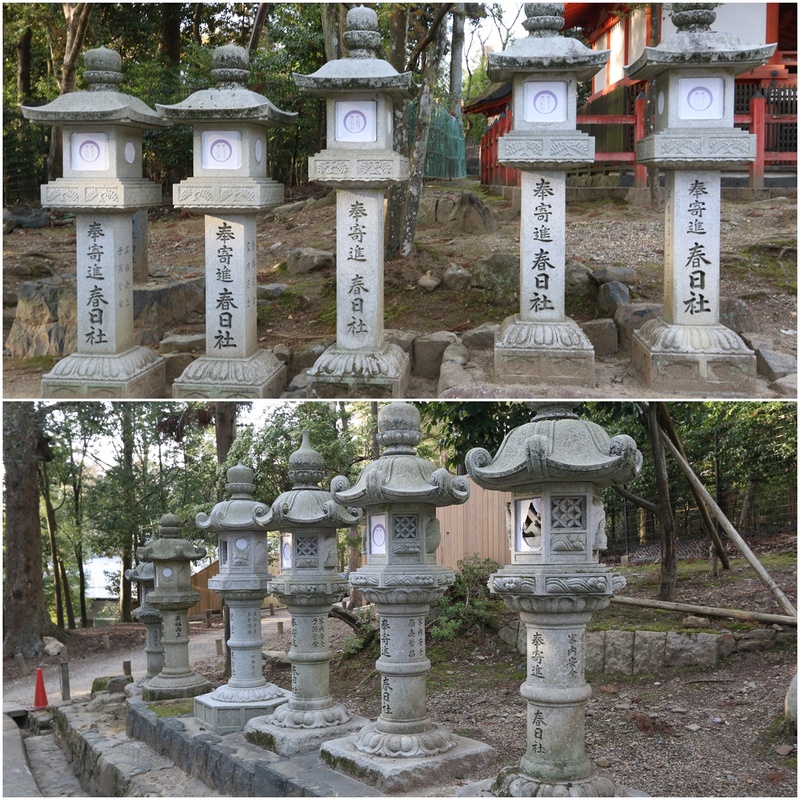 All the stone lanterns and hanging lanterns on the buildings are donated by worshipers. All these lanterns will only lit-up twice a year during Lantern Festivals, one in early February and one in mid August. How to get to Nara Park? A 35 minutes express train ride from Kyoto Station to Kintetsu Nara Station and costs 1,130yen per person for one way trip.